The antiaging diet is a way of eating that promotes longevity for that particular individual. This is due to the fact that our biochemical individuality makes it impossible to have only one correct set of dietary recommendation for everyone! The ratios of fats, proteins, and carbohydrates for example is a very individually based recommendation. This is where the metabolic typing concept comes in. Even nutritional supplements have to be given with this biochemical individuality in mind. Metabolism is the entire range of cellular chemical processes in the body, that involve cellular energy production, tissue synthesis, and other vital processes. It is optimized by the right combination of fats, proteins, carbohydrates, as well as other antiaging nutrients. When metabolism is correct for your individual biochemistry you will function optimally, and enjoy increased longevity. When your metabolism is unbalanced, the aging process can be accelerated. The rate at which you age depends your their state of health, and the right nutrition for your biochemical individuality. 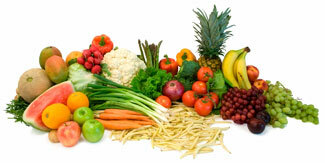 Such a diet needs to be rich in antioxidants from foods that are compatible with your blood type. Antioxidants are antiaging nutrients that help protect you from cellular damage and ensure that your DNA is not damaged by oxidation from free radicals. Free radical damage can have consequences from chronic disease such as heart disease and Alzheimer’s, to cancer. All involve increased cellular oxidation, and thus a longevity promoting diet must be one that provides anti-oxidant protection! Sufficient protein is another element that is critical to the body’s ability to biosynthesize and repair lean muscle tissue. Protein requirements vary with individual situations. Current research seems to indicate 1 gram of protein for each pound of lean body mass is a good starting point in protein requirements for your antiaging diet. The right amounts of soluble and insoluble fiber are necessary for good bowel function, maintaining a good cholesterol profile, and ensuring proper blood sugar control. Fiber can come from a number of sources and will be discussed, as it’s own topic on another page. It is however essential antiaging nutrition! Specific nutritional plans are beyond the scope of this page at present. There are many practitioners that custom design programs for clients, and again, I will be giving you resources to find these people should you want such a diet drawn up for yourself. The properly planned dietary program for wellness and longevity will have to be adjusted from time to time as your needs change with age, activity level, and physical condition. This website will attempt to identify what the main components are and point you toward resources which will allow you to create the optimal antiaging diet for yourself.